Cary is immediately disarming with his charm and humbleness. The entire story of how he was headhunted for the part of Westley, right to the end and describing his love of his fans, was amazing. There are snippets from the other people involved in the film, too. 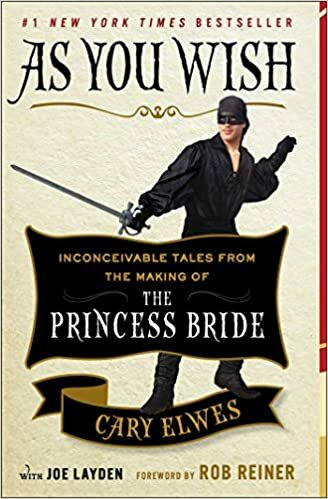 It all came together to make a highly enjoyable read, and I can’t recommend it enough for fans of The Princess Bride. There were parts of the book that had me laughing out loud, and I really need to watch the film again, knowing so many tantalizing details about it to keep an eye out for. Have fun storming the castle reading the book!